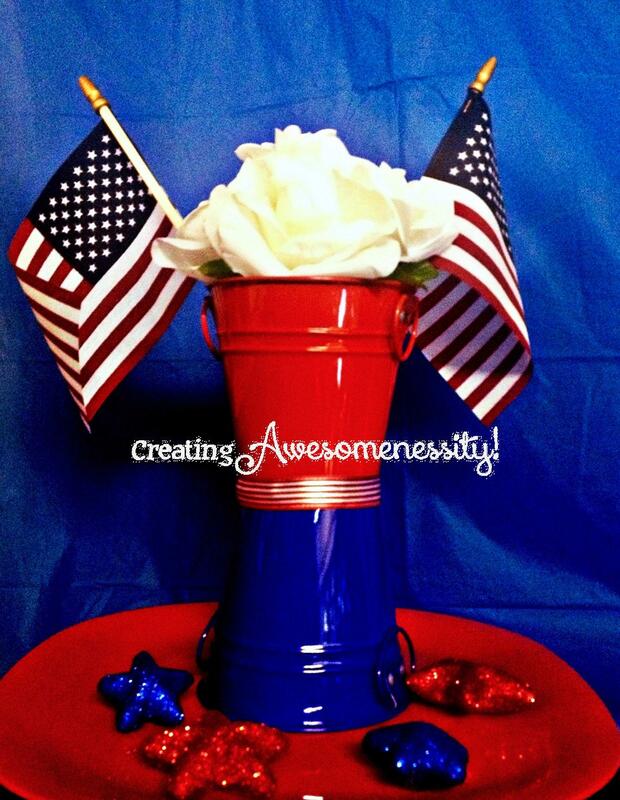 Independence Day Decor - Creating Awesomenessity! Did you wait until the last minute to figure out decorations (like I usually do?) If so, I’ve got a quick and easy centerpiece for you to make. And the cost? Yep…$5. Less if you already have some of the items laying around the house! measure and cut a piece of ribbon, to hide the seams where the buckets meet, and glue on. Be careful with your fingers! This centerpiece can be used with any color combination and by using hot glue, you can take them apart to reuse the containers for another project!